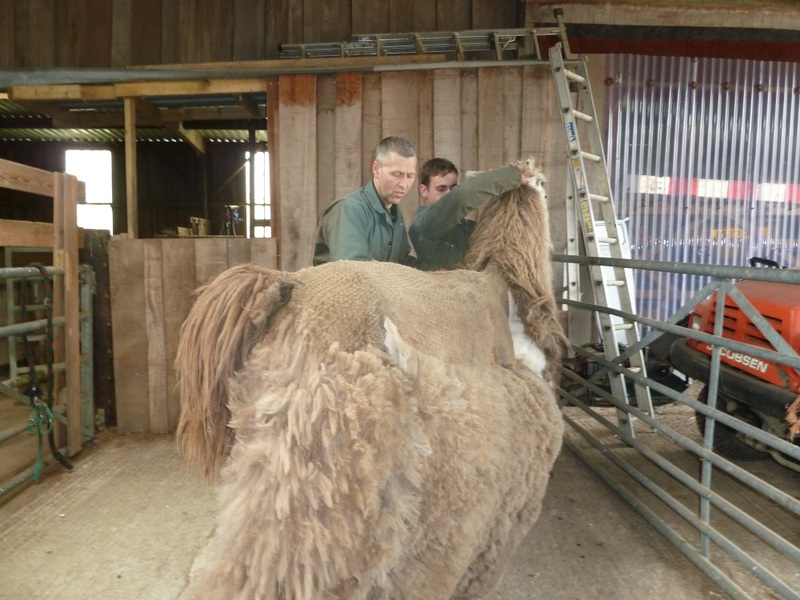 For Tiggy, Zsa Zsa, Crazy Daisy, Indigo, Isaac, Xing and our alpaca Cody, today was the day when mobile llama hairdresser Ben came to Catanger. 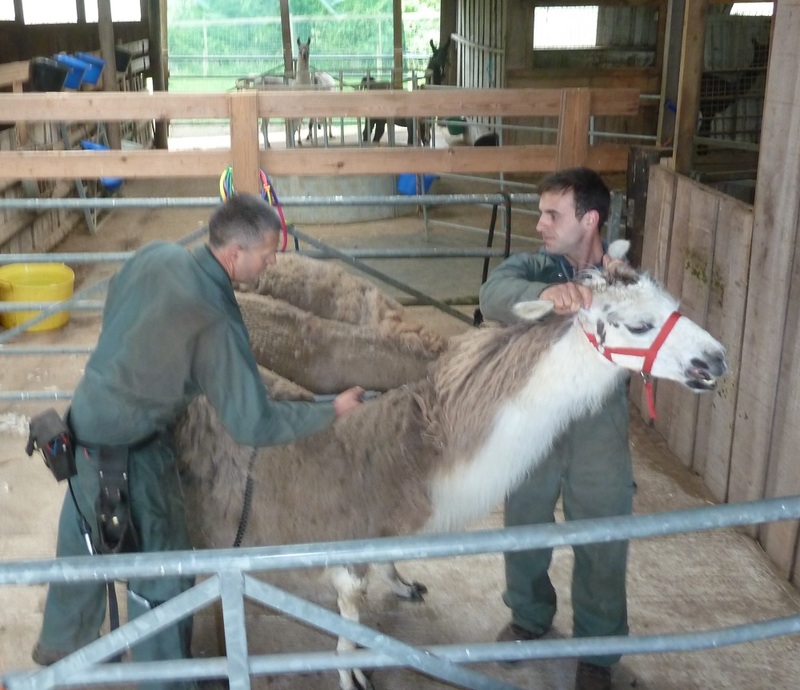 As this is my first year on the farm and working with llamas I didn’t really know what to expect once the shearer had been. 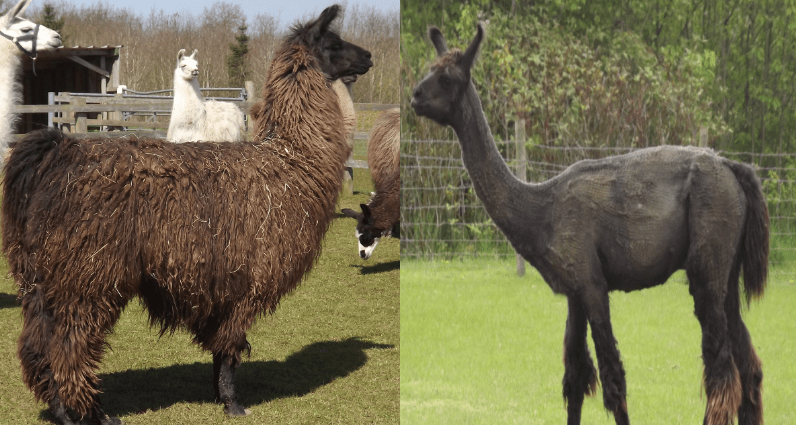 I frequently see comedy photos of recently sheared llamas all over the internet but until you see it for yourself you can’t appreciate how drastic a change it is and how silly they can look. For the llamas that were not sheared this year, this was a great chance to laugh at the more dominant llamas who were, a lot of sniffing and excitement went on when they were returned to their herds. Although they look a little ridiculous for a while this is an essential part of keeping llamas. 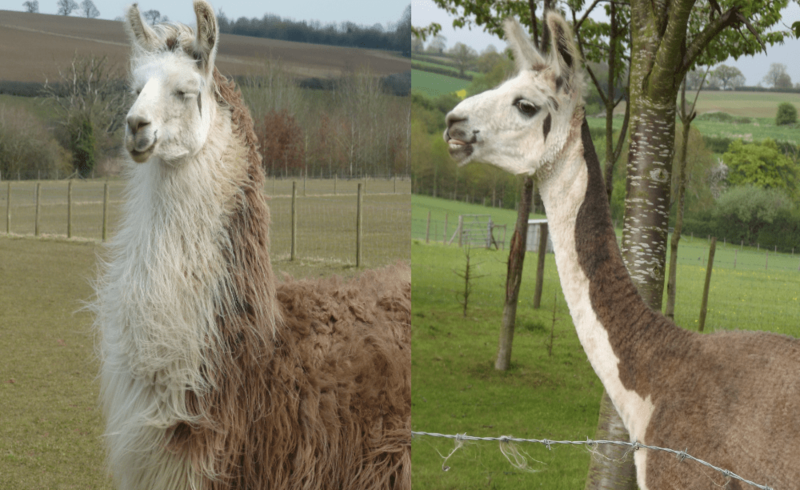 Here is a ‘before and after’ shot of Xing (our stud male) and Isaac (our retired stud male). Also today me and Mary spent a bit of time with our two youngest little girls; Lollipop and Nikki. These are last years babies, like Mr Kang and Mungo who are with the trekking boys and are still in training, we train the females just as much as the males. 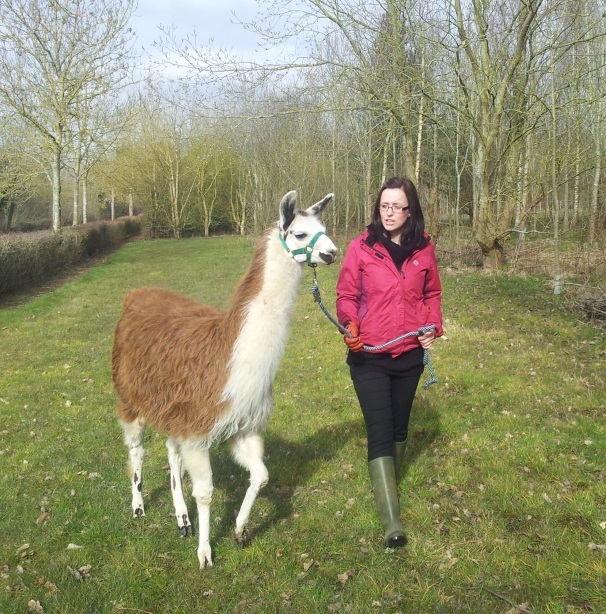 Some people believe that females are only good enough for breeding but we have shown that females can do just as much as our trekking boys and all llamas at Catanger get full halter and trekking training once they are old enough. Lollipop and Nikki now 12 months old and we have been training them for the last couple of months, very slowly and gently. Today they did a 45 minute mini trek around the farm woodland and did very well. They are such sweet natured and lovely little trekkers and will be going on their first on farm trek with us in a couple of weeks. Here is a photo of Lollipop and me out on their training trek this morning.